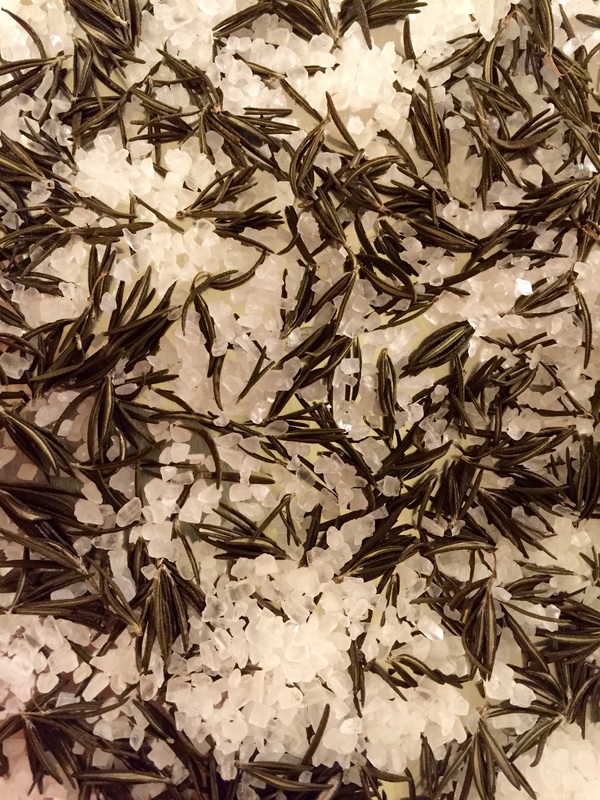 So I thought….what should I do with the rest of the rosemary? 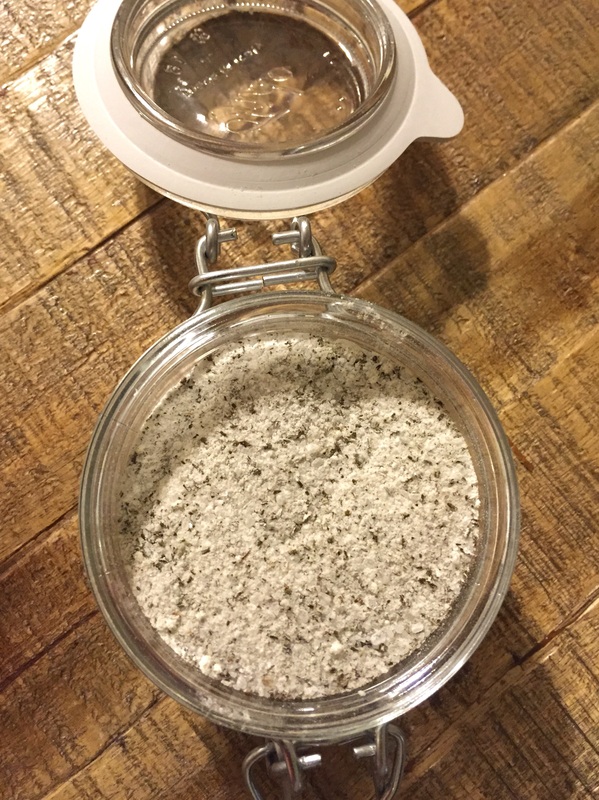 I decided to preserve it in oil and make some rosemary salt (both of which are super easy to do!). 1. Make sure you de-stem your rosemary and wash it thoroughly. 2. Once cleaned,pat dry and chop the herb if you like. 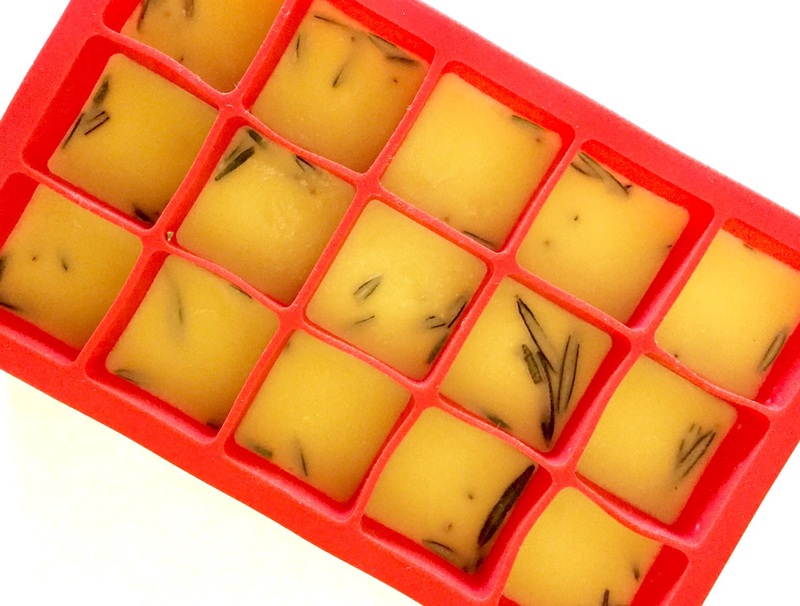 Add some rosemary into each ice-cube tray followed with some olive oil, cover with saran wrap and let it freeze overnight! 3. Once you take the ice-cubes out, I like to wrap each individual cube in saran wrap, then put it all in a zip-lock bag. This keeps each cube fresh and easy to use when needed. Enjoy! 2. Lay out rosemary and salt on an oven rack and cook on 200 degrees until the rosemary crumbles in your hand (it took me about 15 minutes). 3. Throw it all in a food processor, blend till your desired texture and make sure to store it in an air tight container! Throw this seasoning on your next dish! 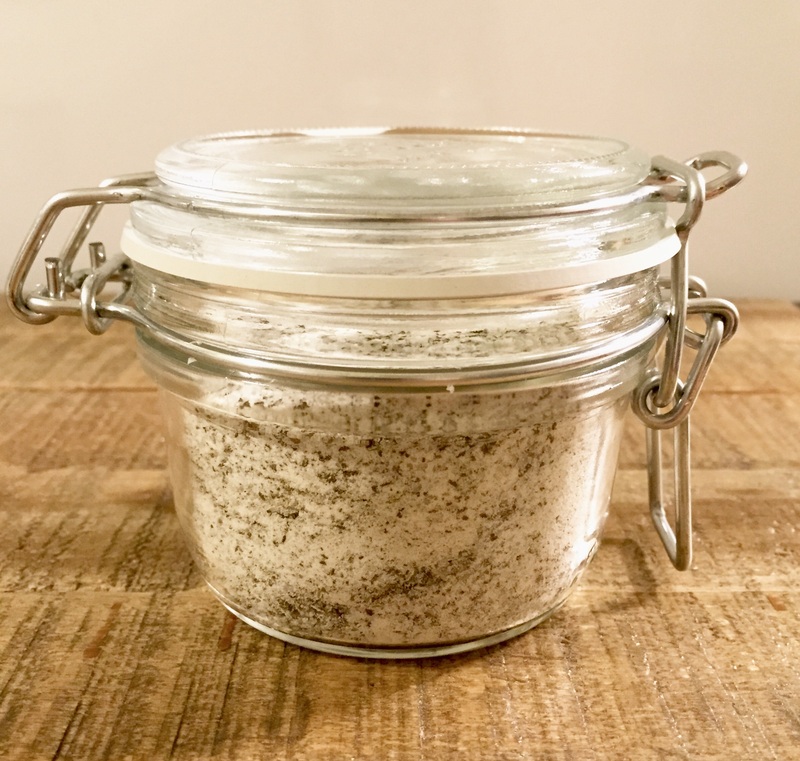 I love using it on chicken or lamb, with a side of rosemary roasted potatoes! We are going to have a lot leftover in the fall from our garden. We definitely want to try to save as many herbs as possible!! This is such a good way! I used the salt last night and it was still fresh and amazing!! Good luck and let me know hot it goes!